I am still curious as to where all the white space is coming from above and below the form as it appears on my webpage. 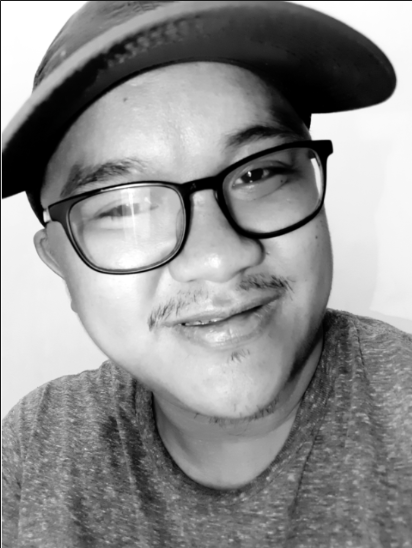 Could you take a look please? 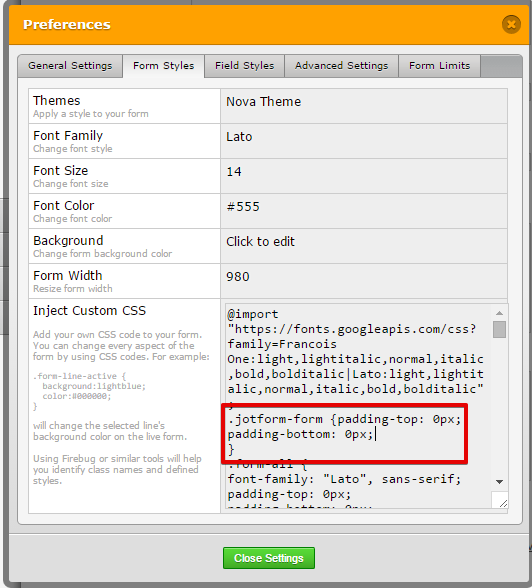 To confirm you would like to remove the padding form the top and bottom of your form. I hope this helps. Please inform us if you need additional assistance. Thanks, although the white space is still in the document. Thank you for providing us with an update. 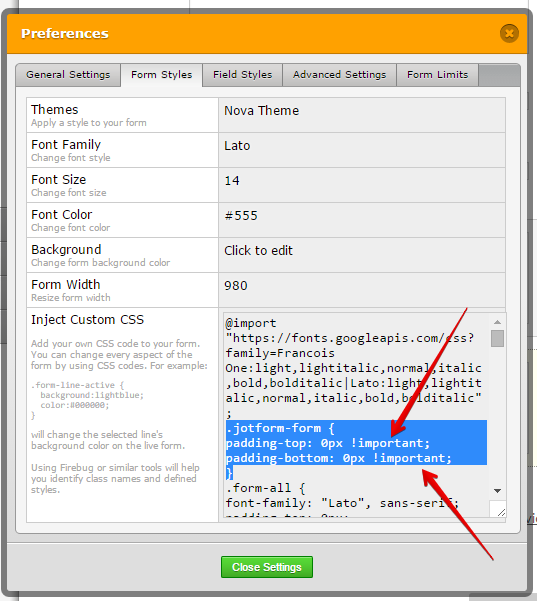 Please add the following CSS code to your form to remove the white space from the top of your form. I hope this helps! Please inform us if you need further assistance. We're glad to see that the suggested code worked for you. Neither of these suggestions worked for me - is something else in my code putting the large chunk of padding at the bottom? 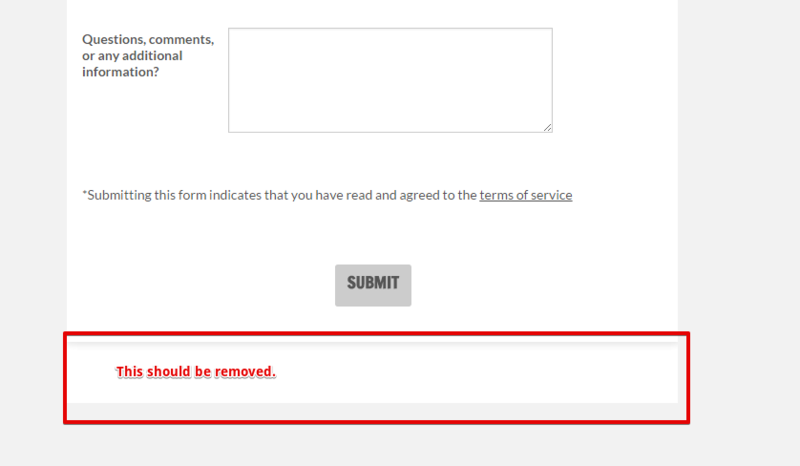 I have edited your post and removed the CSS codes you posted since we would be able to see that on your form when we check it, so it is not necessary for you to post your form CSS codes here. 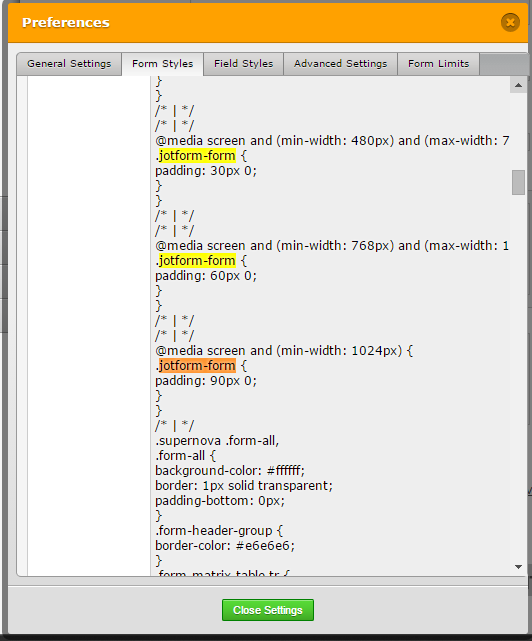 However, I have inspected the CSS codes you provided and I cannot really tell where those large paddings coming from. 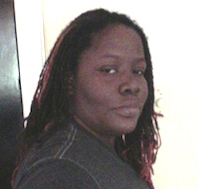 It is possible that we need to add something to your code in order for us to accomplish your desired outcome. If you could help us by giving us the link to your web page where you used your form or if you could give us the URL of your form so we would be able to check it further. You may have many forms on your account and I will not be able to know the form you are talking about in particular. Thank you. You can see it on http://www.jotform.com//?formID=51245383918157- it is entitled LA Design Request Form. By the way, the instruction above pertains to the large space at the top and bottom of the forms, not the spaces between fields on the form. I have checked your web page and found this. However, I have tried embedding it to one of my sample web pages and it worked perfectly fine. When I used the typical Embed option from the Embed Form Wizard. The extra space at the bottom was removed. 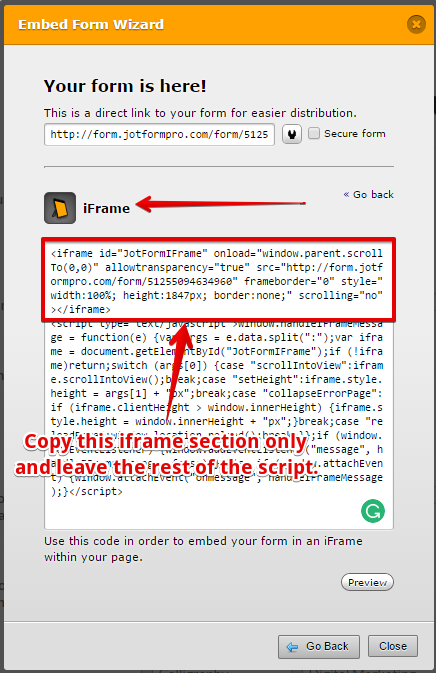 The iFrame code allows you to edit the height of the form. Thank you so much!! I set the height to 100% in my iframe html and that did the trick.